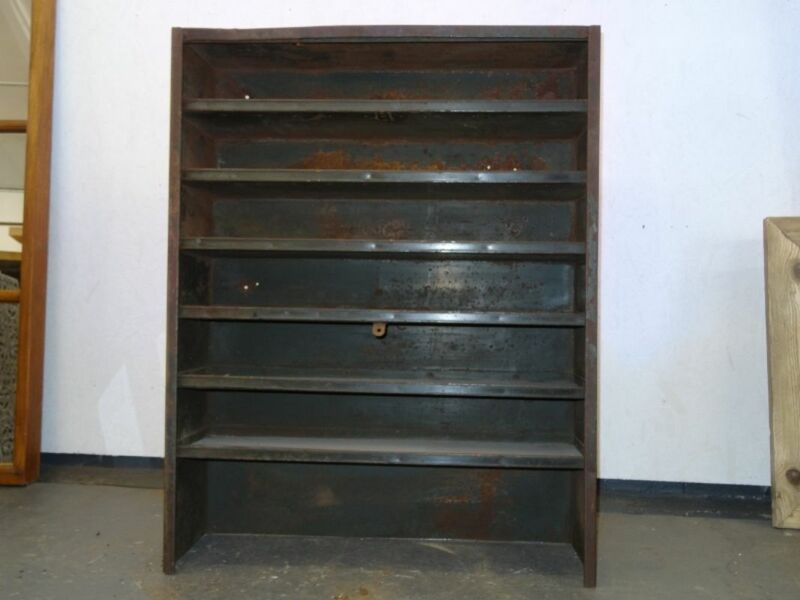 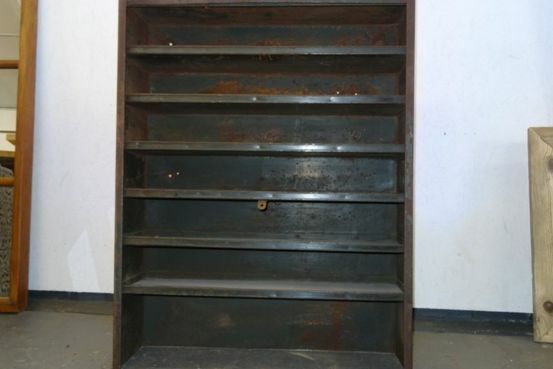 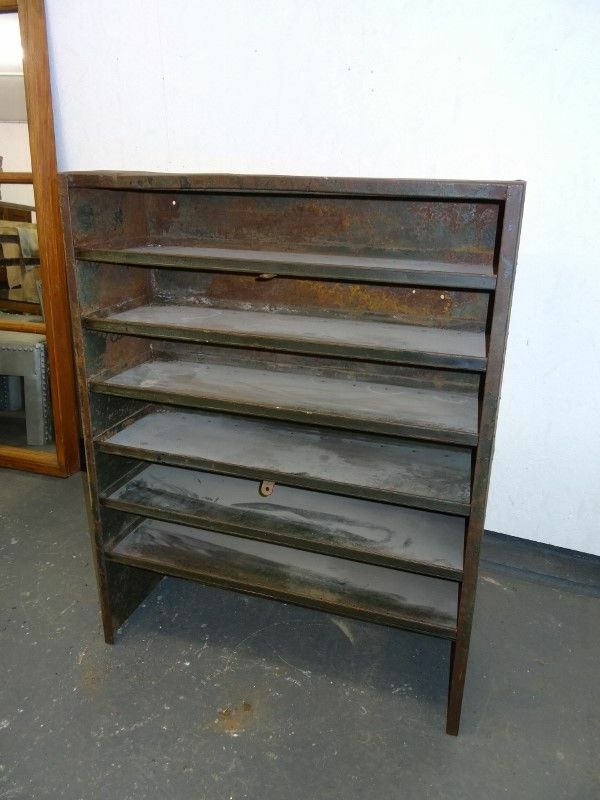 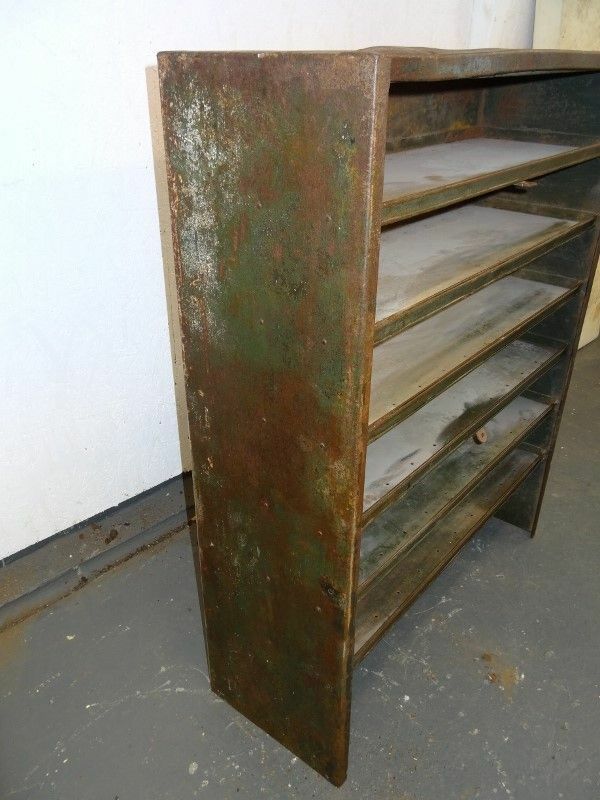 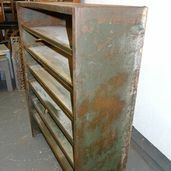 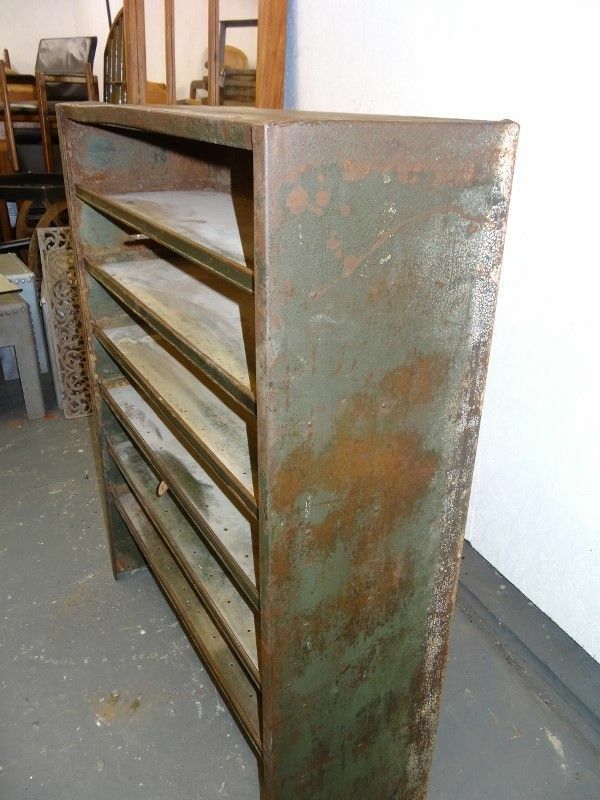 Steel Shelving Unit. 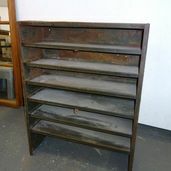 6 open fronted shelves. 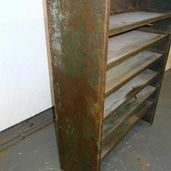 Each shelf has a 1” (25mm) upstand at the front to stop things falling off, or to insert card labels. 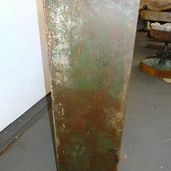 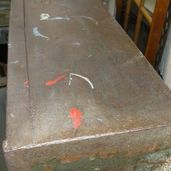 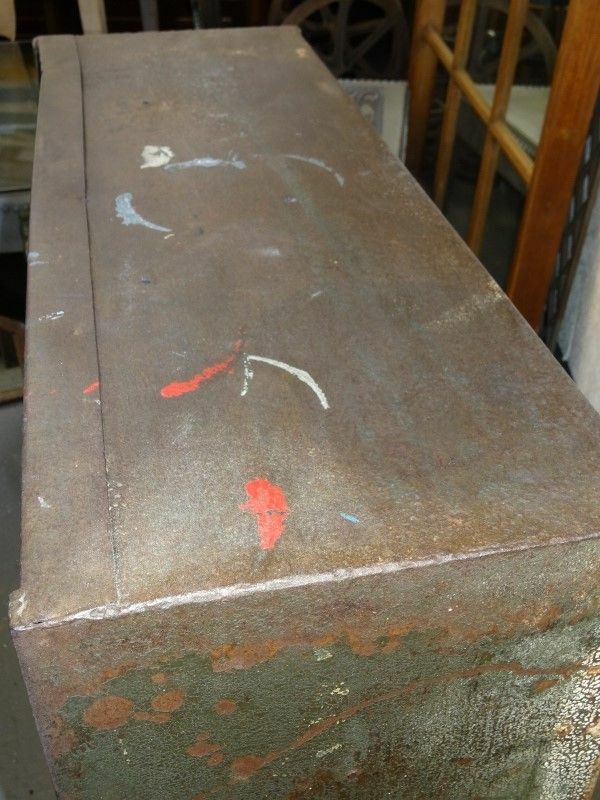 This piece has been left in the remains of its original paint and has been waxed on the outside to give a better finish. 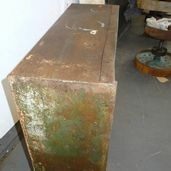 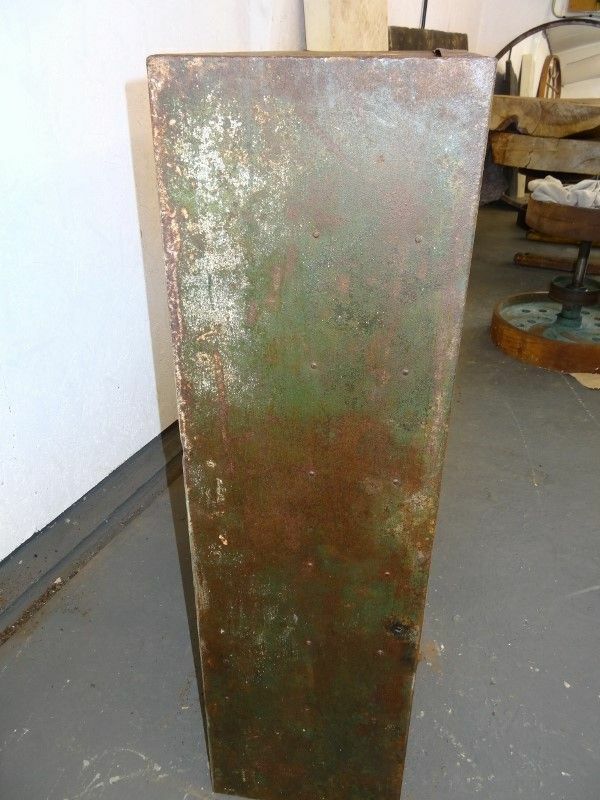 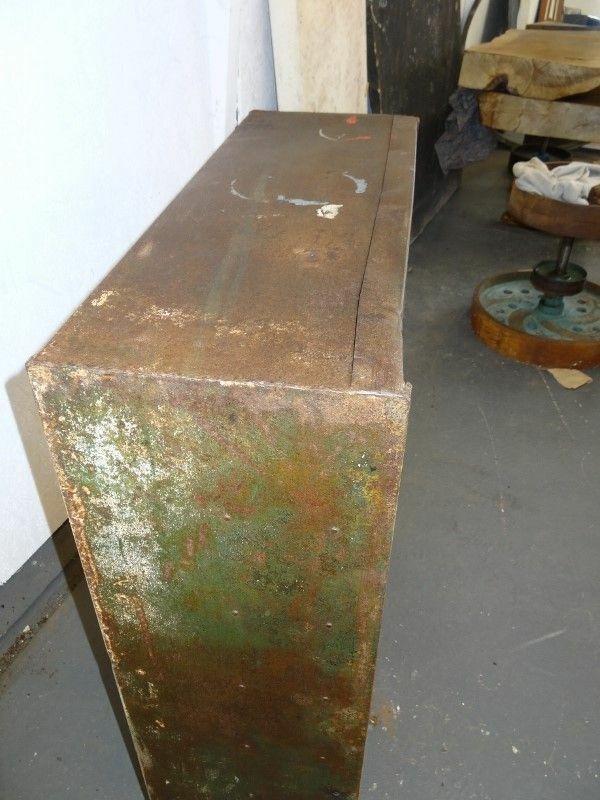 45” (114cm) tall, 35” (89cm) wide, 12 ½” (32 ½ cm) deep.